"Laura and I had nothing in common on the surface, but I felt a kinship with her." 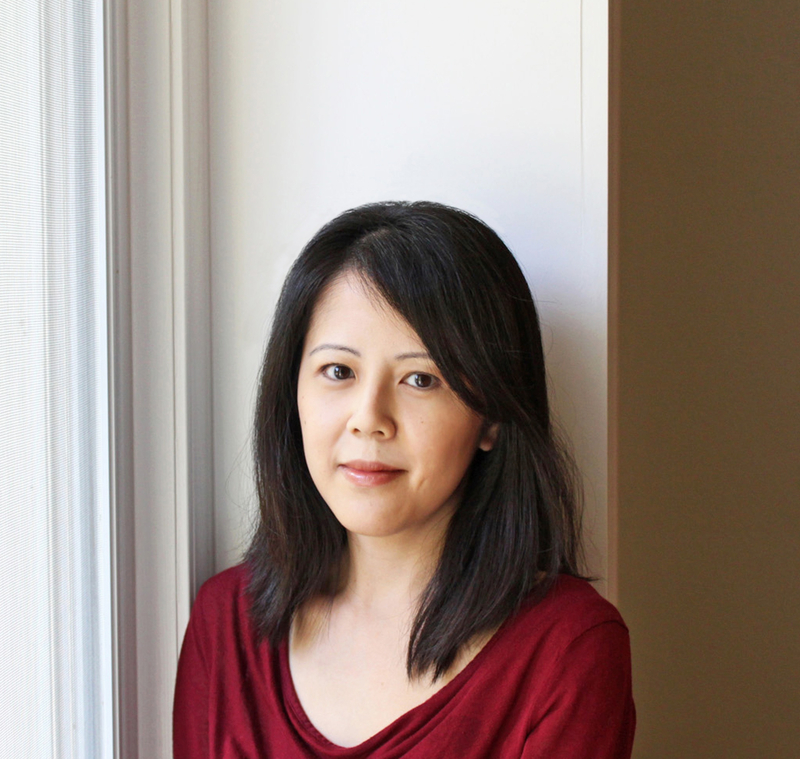 Bich Minh Nguyen talks to Sarah Layden about her latest novel, Pioneer Girl, and moving from the Midwest to the West Coast: "For me, writing is always about looking back and looking forward in the same moment. It’s living within more than sphere, identity, and place, and trying to understand that—trying to find a few moments of stillness and clarity." Bich Minh Nguyen, award-winning author of the memoir Stealing Buddha’s Dinner (Viking, 2007) and the novel Short Girls (Viking, 2009), once again explores the immigrant experience with her latest novel, Pioneer Girl, which is just out in paperback from Penguin Books. Nguyen’s fictional version of how Laura Ingalls Wilder may have come to write her Little House series weaves together topics like family relationships, the complicated paths taken in forging a new life, and how we are inextricably bound to the cultures we come from and the cultures we choose. In each book, pop culture references and food descriptions pepper the pages, leaving readers hungry for more. Nguyen, who teaches creative writing at the University of San Francisco, writes from (and for) the heart, mind, and stomach. I first heard Nguyen read from Stealing Buddha’s Dinner before it was published; she was teaching at Purdue University, where I was a graduate student in the MFA program. The audience at the reading was transfixed, and the book came out to much acclaim a few years later. Nguyen’s fiction is similarly striking: hers are the kind of books I recommend, loan, and reference in class on a regular basis. Sarah Layden: Your first book was a memoir, and you’ve followed it up with two novels. What has that experience been like? Bich Minh Nguyen: I feel like I accidentally wrote a memoir. It took me a long time to realize that the subject—my family’s escape from Saigon and resettlement in the United States, which all happened when I was a baby—was too true for fiction (for me, anyway). I kept trying to write about it but couldn’t make anything work until I turned to nonfiction. Being able to tell the story as it was gave me the freedom to complete a manuscript—what turned out to be Stealing Buddha’s Dinner. After that, fiction, with its limitlessness and the freedom to not tell the truth, seemed quite wonderful. Basically, whatever genre I’m not writing in at the moment seems much more appealing. Why is that? Can you talk more about this pull to other genres? I love the possibility each genre represents. It’s like, fiction: imagine anything you want! Nonfiction: just tell the story as it happened! In theory, both seem so exciting. Then you sit down to do the real work and all the problems appear: oh, yeah, I have to imagine everything. Or, oh yeah, I have to tell the truth. Both avenues provide freedom as well as restriction in completely different ways. So I think it’s ideal to write in more than one genre because each allows a different self, a different viewpoint, to take shape in words. Being an avid reader influenced your desire to be a writer. What books or authors were most important to you? Have your tastes changed over the years? Growing up, I read just about anything I could. Even the back of a new cereal box was something I looked forward to reading. Children’s books like the Little House series, Harriet the Spy, Encyclopedia Brown, and The Great Brain were gateways to The Grapes of Wrath, Madame Bovary, Great Expectations, The Age of Innocence. I probably wouldn’t have written Short Girls if I hadn’t read Sense and Sensibility a few dozen times. My tastes have broadened over the years to include a wide variety of contemporary fiction and nonfiction. I love short stories because I’m not a short story writer myself and I so admire that compressed form. I love, just as much, getting lost in a long novel or memoir. And I still read cereal boxes. I’ve always been impressed with your encyclopedic knowledge of popular culture, particularly the obscure details. Does this influence your work, either what you choose to write about or how you choose to write it? I don’t know about encyclopedic! Maybe obsessive. I’m interested in how we’re defined by the cultures, popular and otherwise, that surround us, especially in childhood, and how they become an essential part of our memories. I feel like I just can’t leave that aspect out of my writing. For me, characters are just as much a part of their environments as we are. Like it or not, what we eat, what we wear, what we watch, what we listen to—these inform us and in turn indicate so much about where we come from and who we are and what we desire. We can’t escape our cultural references. We can’t help being influenced. And I think for immigrants and the children of immigrants, cultural knowledge is power. You’re never really “in” until you know the subtleties of manners and customs, the unspoken codes of how to behave. Many of those cues come from studying popular culture. And books, of course. The Age of Innocence is a favorite because it so intricately studies what it means to live in a world measured by an unspoken social code. In addition to creative writing courses, you also teach Asian American literature, and your experience as a Vietnamese-American clearly factors into your subject matter. How has your background influenced your writing? What about your recent move from the Midwest to San Francisco? Whether I’m working on fiction or nonfiction, I write toward subjects that are interesting or complicated to me. Like identity, immigration, location, dislocation. Subjects that can never be fully resolved. So far, most of my work has been set in the Midwest, partly because I’m from there and partly because I’m still figuring out my relationship with it. When you grow up in the Midwest you’re always being told that you’re in the middle of nowhere. Flyover land. But the Midwest—Michigan, Indiana, Illinois—is where I’ve lived the most, and it wasn’t my life’s goal to move to New York or San Francisco. When the opportunity came up, my husband and I really debated it. It freaked me out, really, to imagine living on the west coast, in the Pacific time zone, far from everything I’ve known. Now we’re here and I’m still getting used to it in a sense—getting used to the fact that I chose to change my life. And that our kids are going to be Californian, which seems so bizarre. I have no idea if this means I’m going to start writing about this new landscape, or if I’m going to write even more about the Midwest. But at the very least I do feel more comfortable, more than I’ve ever felt before—by which I mean normal. What do you mean by “normal,” exactly? In the Bay Area, Asians and Asian Americans are everywhere. They are a version of normal that I’ve glimpsed before but never lived with, and the feeling is—well, it’s a relief, an emotional relief. I can feel invisible without feeling diminished. I feel less self-conscious. I don’t worry that someone is staring at me because I’m Asian. (Now I think, did one of my kids put stickers in my hair again?) A hundred different micro-aggressions—especially, feeling foreign or unwelcome—kind of evaporate. I didn’t know that it would feel this way. I didn’t know how much tension I carried around before I moved here. I don’t mean this as a slight against the Midwest, or to suggest that micro-aggressions and racism don’t happen here; they happen everywhere. I guess I mean, I thought I was used to the experience of being a minority within a dominant culture. It turns out that maybe I was never used to it. You and your husband, the novelist Porter Shreve, are both writers, and you have two young sons. What’s a glimpse of daily life in this readerly, writerly household? I’ve never washed more dishes or cleaned more crumbs or run more laundry in my life. Many days, Porter and I don’t have a sustained conversation—that is, longer than a few minutes—until the kids are asleep. Any idea of a writing schedule, for me, is completely gone. Now it’s more like grabbing what time I can, and choosing between sleep and work. Usually work wins. As soon as the kids go to sleep, I’m working. But I’m also learning to have a better relationship with time and trying not to fixate on how little there is of it. I sometimes have to remind myself to be in the moment when I’m reading books with my children, or having dinner with friends, or even when I’m doing my own work, without getting distracted by all the other things that have to get done. For me, not feeling scattered is incredibly hard. Sometimes you go by Beth instead of Bich [pronounced like bic]. For you, how do names make–or break–identity? I’ve been working on an essay about the name thing. Basically, I go by different names to different people and in different circumstances. If I’m at Shake Shack I’m not giving my actual name, you know? Why go through the bother and complication? That was how the name Beth was born. And it was instantly easier. So it became my other name. I love the ease of Beth. I wanted to change my whole writing name to Beth but my publisher freaked out and forbid me. So I’m stuck with a dual name and a dual identity. It’s the immigrant experience all over again. Honestly, I’m more uncomfortable with the name/title Pioneer Girl. That was the title of Laura Ingalls Wilder’s original manuscript, which was eventually turned into the Little House series. (Wilder’s Pioneer Girl has now been published as an annotated scholarly text by the South Dakota State Historical Society.) It wasn’t the title I wanted for my book, and I’m not sure I’ve made my peace with that. What convinced you to go with the publisher’s suggestion? I assume they were the one who suggested this title. My original title was Little Gray House in the West. It was deemed too quiet, I think. I ended up having to go with Pioneer Girl at the publisher’s strong insistence and it became a battle not worth fighting. There were some hilarious title suggestions in between, though. Like Golden Panda on the Prairie. Seriously. I’m curious about the intersection of fact and fiction in Pioneer Girl, which also looks closely at the history of Laura Ingalls Wilder. What was your research like as you wrote your novel? Did you follow the same scholarly route as your narrator, Lee? Does imagination take over once your characters meet Rose—so Lee believes—at the café in Saigon? When I was a kid I read those Little House books to the point of memorization. Now, I wonder if maybe I loved those books because experiences of the Ingalls family—pioneers moving westward, homesteading, in the 1870s—was not unlike the experience of immigrants moving west to America and starting over. Laura and I had nothing in common on the surface, but I felt a kinship with her. She knew what it was to be restless, to be shy and bookish, to want to stand out while also wanting to hide. She had longings for certain foods and material comforts. She had a major frenemy. She had secret rebellious thoughts. 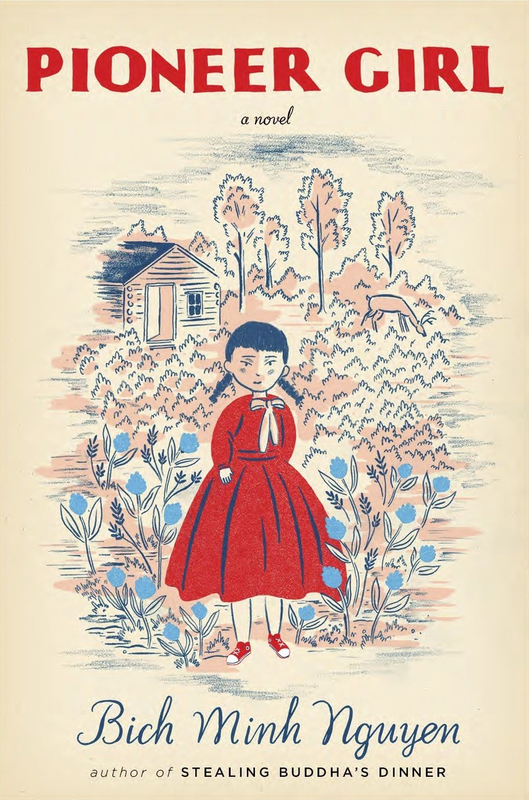 When I started researching the origin of the Little House books, I learned that her daughter Rose had heavily edited, perhaps even co-written, the books. Rose is an obscure figure now, but once upon a time she was more famous than her mother. And late in her life Rose went to Vietnam, as a journalist, in 1965. When I learned about that literal connection between the Little House and Vietnam—this was probably twenty years ago—I knew I would one day write something about it. I wondered: what if Rose had met a Vietnamese family there? What if she had made a connection, relayed a secret, that would be revealed years later, when that Vietnamese family emigrated to the United States? Like Lee, the narrator, I did research at the Hoover Library in Iowa, where the Rose Wilder Lane Papers are kept, and visited the Laura Ingalls Wilder museum and historic site in Mansfield, Missouri (I didn’t steal anything, though!). I also drew on some of my own background as an Asian American in the Midwest to develop Lee’s character and family. Still, Pioneer Girl is almost entirely imagined, especially the parts about Rose’s possible secret life. In Pioneer Girl, you parallel the migration of two different families, and Lee says of studying American literature, “…the landscape has seemed one of incredible, enduring, relentless longing.” Where do you see stories—your own, and others writing today—going from here? Is the impulse greater to look forward or to look back? I can’t seem to look forward without looking back. I love context and back story. I love peering into people’s histories and pasts. I love remembering a moment and finding that I have a new insight or perspective on it. For me, writing is always about looking back and looking forward in the same moment. It’s living within more than sphere, identity, and place, and trying to understand that—trying to find a few moments of stillness and clarity. And what do you see on the horizon with regards to your own work? So far I’ve been thinking one or two books ahead. Right now I’m working on nonfiction again—a group of linked memoir-essays. It’s called Owner of a Lonely Heart and, as you might guess from that, goes back to the 80s and then into the 90s. Food plays a role (of course!) but also music, television shows, movies, and awkward relationships in middle and high school. Alongside that, I have a bunch of notes for my next novel. No title yet, but frenemies and in-law relationships are involved. Sarah Layden‘s debut novel, Trip Through Your Wires, is out now from Engine Books. A graduate of Purdue University’s MFA program, her fiction, poetry, and essays have appeared in Stone Canoe, Blackbird, Artful Dodge, Reed Magazine, Booth, Ladies’ Home Journal, The Humanist, and elsewhere. She is a lecturer in the Writing Program at Indiana University-Purdue University Indianapolis.